The statistic shows the recruitment cycle overall performance rating of North American staffing firms by candidates in 2018. 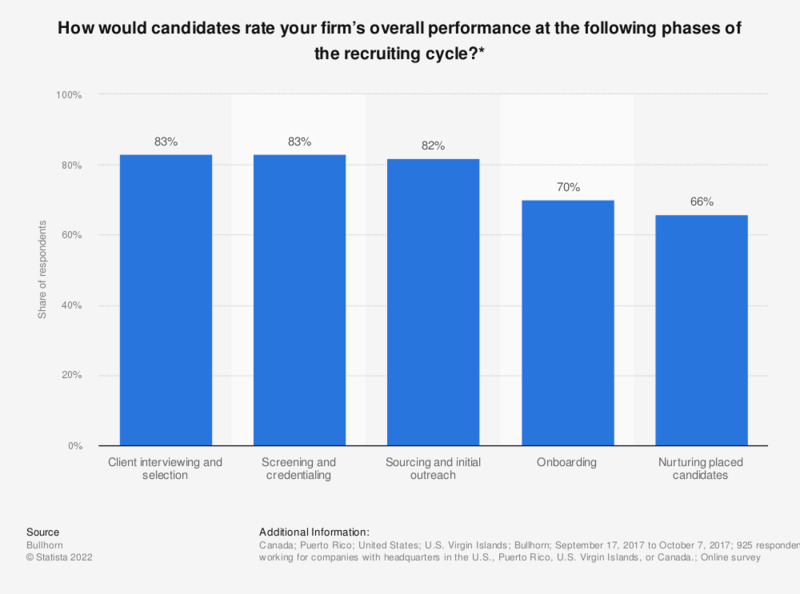 During the survey, 82 percent of the respondents stated that candidates thought their performance during the sourcing and initial outreach stage of the recruitment cycle was good or excellent. * Respondents picked good or excellent.